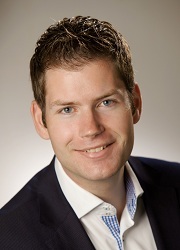 Xander de Jong is product manager at CM for Microincasso, a new and innovative mobile payment method available to any consumer with a mobile phone. Navigating the path to success for a new product is difficult undertaking, especially in the mobile payments industry. Still Xander managed to successfully introduce Microincasso as a new payment method. He has significant hands-on expertise in the field of mobile payments, online payments and m-commerce. As a product manager he is responsible for both the technical implementation and commercial aspects. Xander de Jong has keen interest in start-ups as they are important to keep markets innovative and work out solutions to problems big companies fail to solve.